This book combined three of my favorite things…..art, France, and mystery. Judge Antoine Verlaque is enjoying his life and work in the small town of Aix-en-Provence. Provence was once home to the art worlds most famous painters, Paul Cezanne. A friend in Judge Verlaque’s cigar club asks him to visit René Rouquet, a man who not only lives in Cezanne’s old apartment, but thinks he found a previously unknown Cezanne portrait. When the Judge and his friend arrive at Rouquet’s apartment, they are shocked to find him dead…..and the canvas is missing. After tracking down the canvas, the Judge and his girl friend Marine Bonnet, begin looking into the canvas’s authenticity. The woman in the portrait is clearly not Madam Cezanne, so the natural question is ‘who is the women in the portrait’? Verlaque and Bonnet must enter the world of art forgeries and decide if the painting is real or not. The brush work points to Cezanne but the subject just doesn’t fit with his normal style. Then they must find out who murdered Rouquet…..was it for a real canvas or a fake? I’ve only read one of the Verlaque and Bonnet mystery, but I really really liked it and it’s a series that I feel invested in. 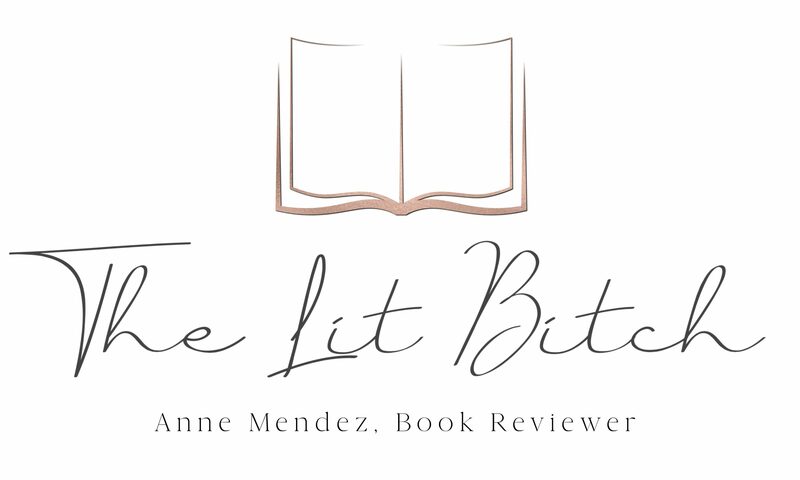 The plot isn’t overly complex but yet there are a lot of characters to keep the reader interested. The previous book was set on an island in the south of France, while this book was set in a small French town which I absolutely loved. This series reminds me of Clue…..a classic whodunit with a charming setting, basic characters, and a mystery that is simple enough to follow but with enough twists to keep the reader interested. The setting added a lot of interest for me in this book. So many books are set in Paris, but Longworth shows her love of France by taking the reader to lesser known region of the beautiful country and exposing them to something familiar but yet new and refreshing. I also loved that she incorporated aspects of the art world. I liked that there was some exposure to the art world and the world of art forgeries. While I am not a huge fan of Cezanne’s art, I love art from that same period in general. 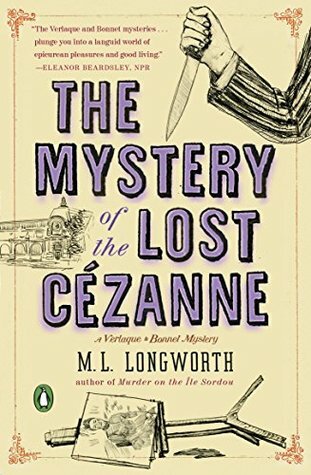 Longworth choose to incorporate a fictional back story around Cezanne’s character and I thought this too added to the novel. Sometimes I don’t think that always works, but in this case it worked for me. The thing about this series is that I haven’t really felt connected to the main characters (Verlaque and Bonnet) as much as I had hoped, but at the same time it doesn’t really matter to me because the setting and the way the Longworth describes France is so captivating. I feel like I am right there on the streets of France following Verlaque and Bonnet on their adventures. While this mystery series is simple and not overly complex, and at times there are a lot of secondary characters, I didn’t feel like this book was boring in the least. I read it in like a day, it was so charming and the setting and the Cezanne artwork angle really captivated me for some reason. It was just what I needed to break up some of the heavy reading I’ve done lately. On another note…..I’m absolutely in love with the cover designs of this series! I love the cover designs for this series! They are quirky, colorful, interesting, and whimsical. They totally made me want to read the series even more! I love love love the design! As I said about the previous Verlaque and Bonnet mystery, this book made me want to visit France in a bad way….I need to read the other books in the series now that I have read two of them. If you are looking for a charming detective novel that was easy to read with lots to enjoy, then this is a great series to satisfy your desire. The best part, I didn’t feel like I needed to read the other books in the series first….it read easily as a stand alone book.